This entry was posted in Cetaceans, Whales and tagged Juan de Fuca Strait, Killer Whale, Long Beach Peninsula, Navy, puget sound, Royal Canadian Navy, sonar, USS Shoup by Kirsten Massebeau. Bookmark the permalink. 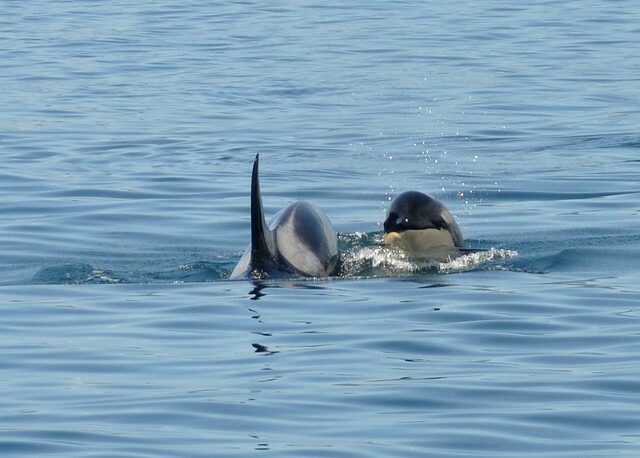 So sorry of the loss of L-112, a young Orca, who was at the wrong place at the wrong time. Navy must take responsibility for death of this Orca and perhaps others because of the testing of Super Sonar. What is the point of deeming Pudget Sound Orcas a protected species only to then kill them with the covert methods which were used? When will the military stop using marine mammals to test their weapons and weapon-grade communications and search devices? This is not acceptable to continue harming these animals.